Two days ago a man named Andrew left this note on a windshield of a strangers car:“Hey, when I pulled up I saw that you were telling someone that they shouldn’t leave their dog in the car while they went to the post office. I think that is AWESOME! 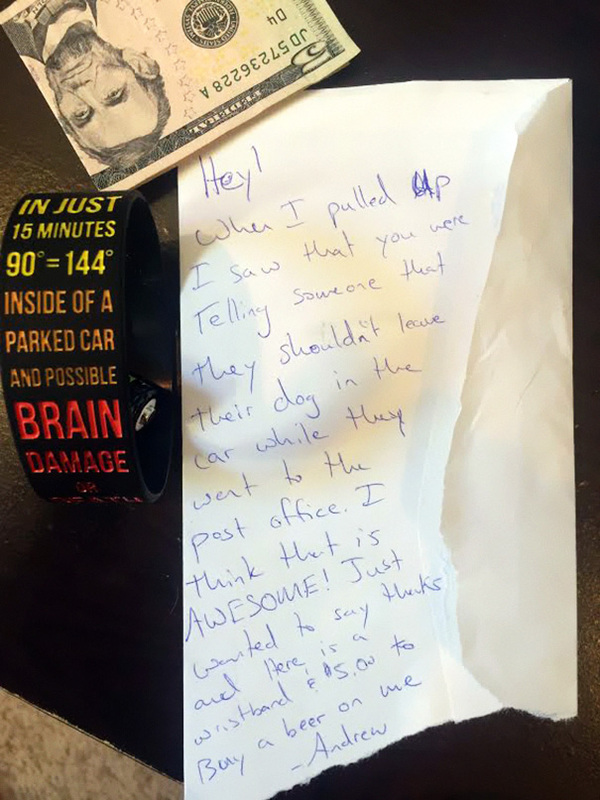 Just wanted to say thanks and here is a wristband and $5 to buy a beer on me”. True heroes are among us and they deserve to be recognized, don’t you think? How Fast Do You Fall In Love? Do you fall too easy and crash really hard? Find out below.